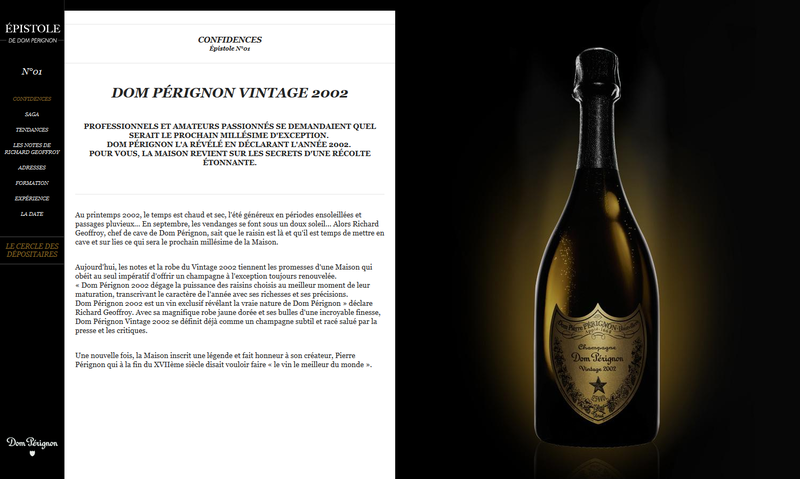 Dom Perignon is a brand of vintage Champagne part of the LVMH group, the world leader in luxury. 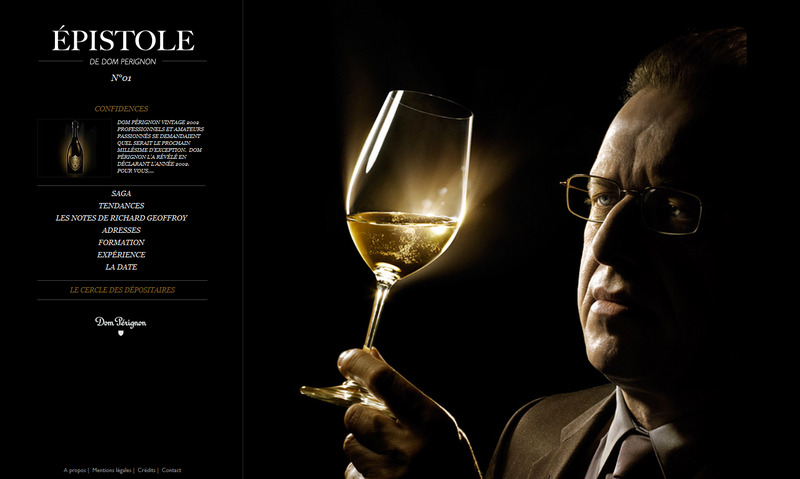 The brand decided to offer its customers a specialized webzine on web and iPad. 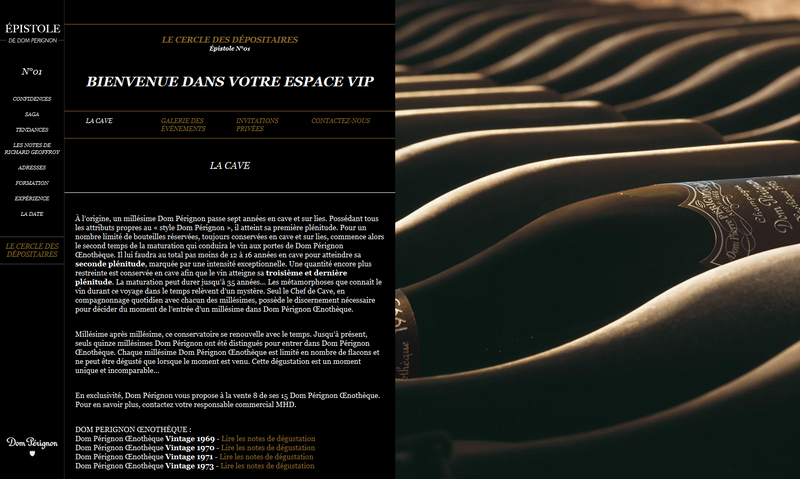 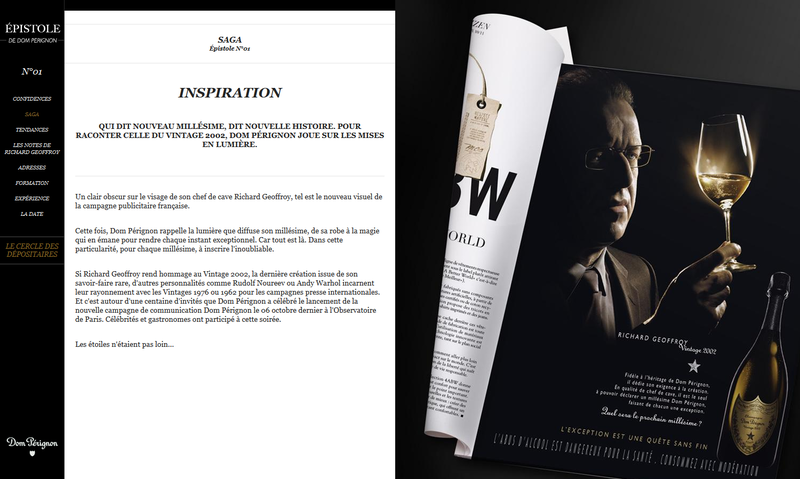 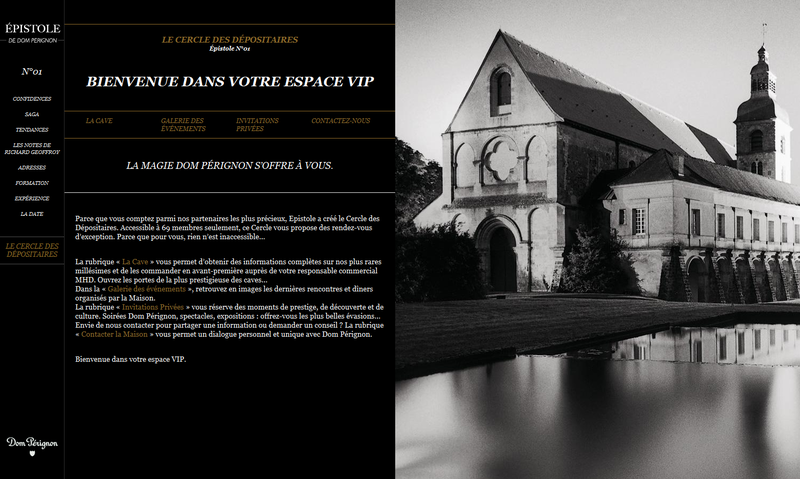 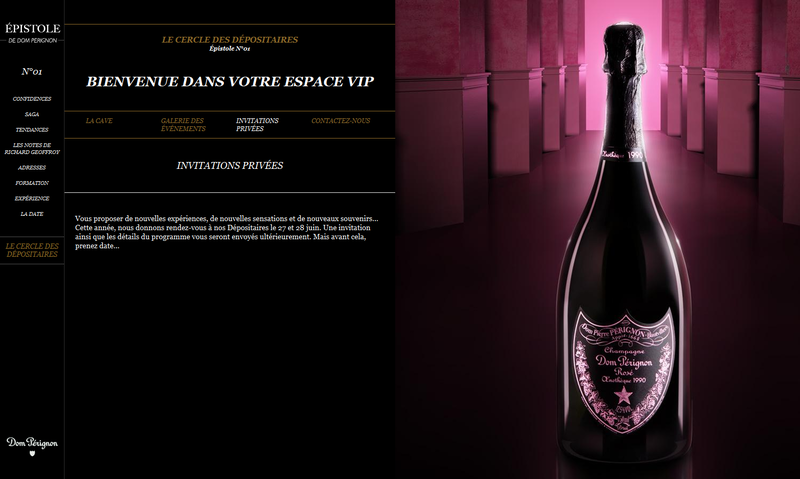 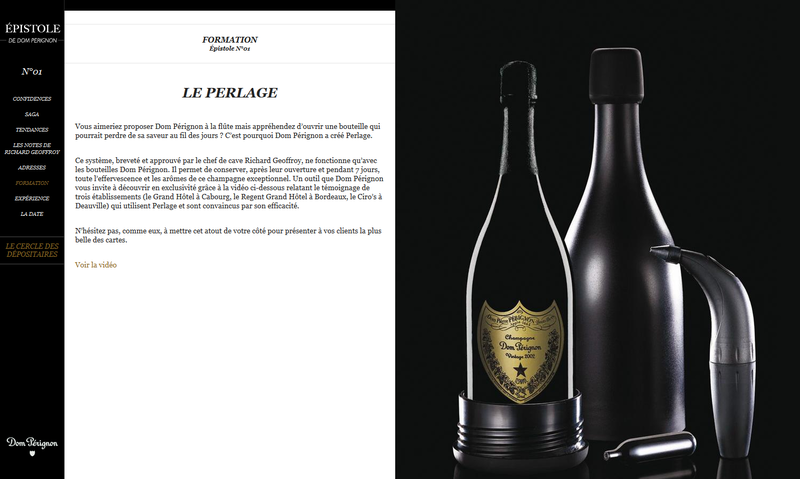 Dom Perignon created this innovative platform to engage in a special relationship with its fans. 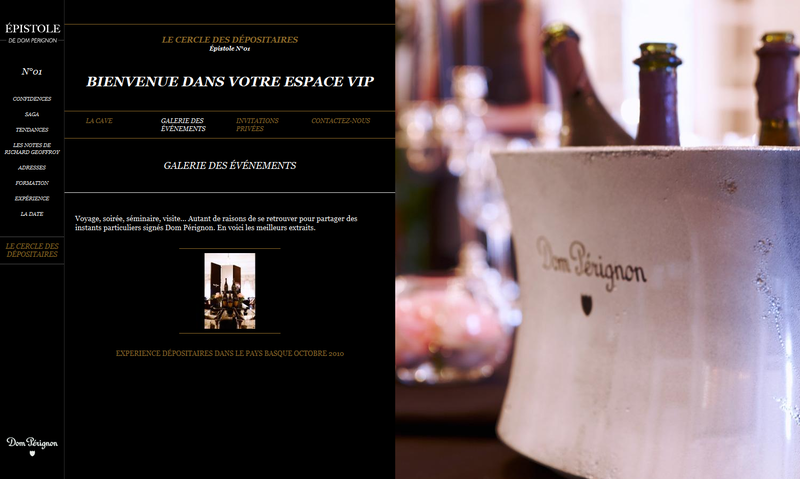 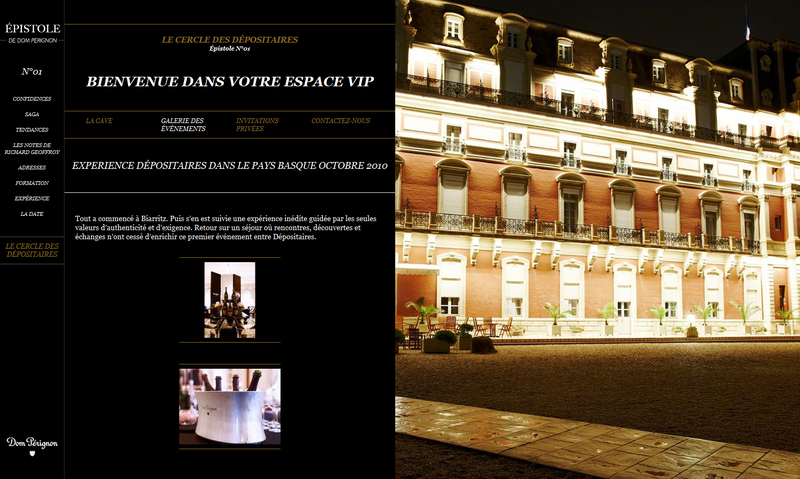 This is also a place for Dom Perignon to meet and exchange with its most loyal customers. 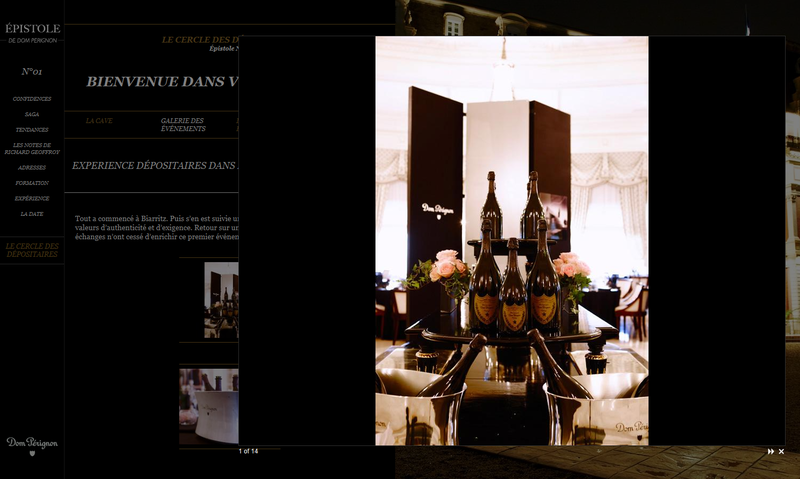 With this in mind, Wandi built the web platform as well as the related iPad application while the Welkome agency was in charge of the art direction.